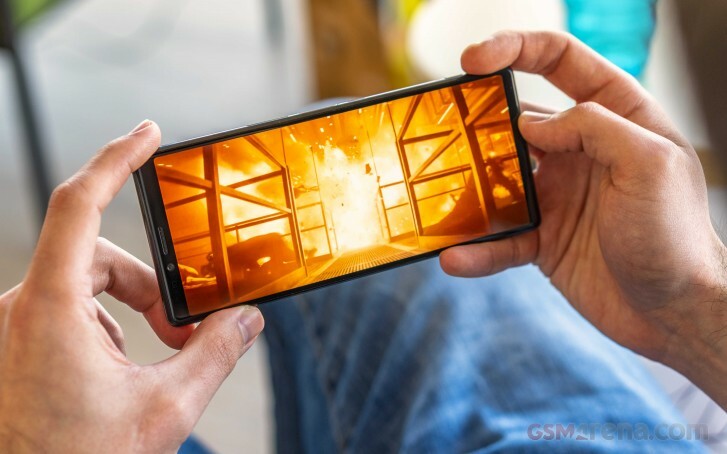 Sony introduced the Xperia 1 with the first 4K OLED panel on a smartphone back at MWC 2019. The 21:9 phone was announced without a price tag, but eventually, its UK pre-orders started at £849. Now the flagship is available for pre-order in the US on Amazon with a $999.99 price tag which is most likely a mockup and not the real deal. Since the Xperia 1 with 6 GB RAM and 128 GB storage was listed for the equivalent of $1,100 by Clove UK, the $999.99 may not be too strange at first. However, currency conversion and pricing across the Pond does not work that way, and the phone is more likely to cost less and Amazon, which was just too eager to post the listing was just playing it safe. The listed December 31, 2019 launch date further backs this up - the retailer is keen to get some of the hype while making sure that it is not commuting to terms it can't match. If by some reason, you decide to book the Xperia 1 for $1,000, you can follow the source link to do so. Good thing is that when the price is adjusted you'll only be charged the final one and not the current one. Have you ever saw what crap camera S10+ have? It really deserve to trash money on this garbage Samsung fooling whole world with its copy-cat tech? Stop being Placebo! Think again!